I don’t know if JWs still talk about how to deal with “conversation stoppers” in “field service.” But I imagine that as a community, they’re still peculiarly beset by what I call “mind deadeners” or “thought killers” or platitudinal “thought arresters.” For instance, I grew up hearing the platitude that God didn’t need any more angels in heaven and that man was meant to live on earth. I came to see that this is a platitude meant to arrest thinking—stop it dead in its tracks. The fact is we don’t really know the details of how all the spirit creatures came to be—whether some were created fully developed as spirits as Adam and Eve were as humans, or whether certain spirits may have had some sort of ‘toddler’ or ‘infant’ stage, as it were; some formative phase in the spirit realm or even elsewhere. We simply don’t know anything about it, and obviously, the Scriptures are silent. Our ignorance of what may have been, or what might be, is vast—to say the least. Despite decade upon decade of JW door-knocking, I’m pretty certain that most householders could not begin to tell you (if surveyed) what the main message of JWs is: i.e. that God’s Kingdom was supposedly established in the invisible heavens in 1914. In stark contrast however, most every adult (particularly in the West) has probably at least heard of Jesus Christ—and that to no help from JWs in most cases. And whether they believe in Jesus or not, most (if quizzed) could probably tick off the following salient points purported about him: that he was the Son of God, that he died for mankind’s sins, that he was raised to life by God and went to heaven, and that he’ll return again to judge. Again, whether those so quizzed believe these points or not, most know them despite being muddled on the details; most could rattle off these important features of the good news found in the New Testament—demonstrating that the basic biblical message has indeed been preached and has penetrated and registered with peoples’ consciousness, whether they believe it or not. You might see it differently, but to my mind JWs have not achieved such penetration of, and registering with, people’s consciousness when it comes to their peculiar interpretational message. While perhaps not “brainwashed,” it can be argued that a lot of JWs are more close-minded than many of the religious people they seek to “give a witness.” Maybe that’s more the point. When I associated, most JWs would not trade religious literature with the householders they called on, since most of “the friends” I knew wouldn’t read the religious publications of other church groups. (“I tell you what. You come find me the way I’ve found you, and maybe then I’ll take your literature,” was a typical snappy JW rejoinder in my day.) While some people in Christendom’s churches will freely study Jewish, Catholic and Protestant reference works and Bible commentaries, the JWs I regularly rubbed shoulders with regarded such books as forbidden and dangerous. Many Catholics, Lutherans, Methodists and Baptists will attend weddings and funerals at Kingdom Halls; they’ll even come to some of the regular meetings that are scheduled. However, it was a rare JW who stepped inside a Catholic or Protestant church for any reason. Many JWs of my acquaintance would unblushingly watch any Hollywood movie that came down the pike, but wouldn’t watch a film produced by some church group highlighting its beliefs or mission outreach; and yet, they’d invite non-JW friends and relatives to see one of the WT Society’s movies/videos. While most of “the friends” I knew would readily share literature aimed at undermining the doctrines and beliefs of other church groups, few of them would even so much as glance at a writing designed to get him to question the WT organization and its tenets. And while most of the “pioneers” and particularly “active” JWs with whom I engaged in “field service,” encouraged outsiders to think independently of their church groups, they simultaneously considered independent thinking as prideful and rebelliouswithin the JW community itself. Perhaps things have dramatically changed within the JW community. But, I kinda doubt it. So who exactly is more likely to be provincial, parochial and ignorant of other ways of thinking, religiously speaking? Like Roman Catholics as characterized in the Proclaimers book, isn’t it a case of the JW concept in which truth is JW theology, error is anything non-JW, and liberty is the freedom to speak and live the JW truth? If you answer “Yes,” to the last question, doesn’t this help to explain why “the friends” (at least those that I knew) so often hurl epithets instead of offering reasoned responses; epithets like: “worldly” (to describe what might simply be a pet peeve or what disagrees with personal taste), “weak” (for those who don’t speak and live the JW truth “quite like I do”), “apostate” (to mean someone who makes an issue out of things considered unimportant—unless, of course, their importance is made an issue). To a person who has almost never been really exposed to opposing ways of thinking, sustained argument is not a likely happening. While some of the JWs I knew did not fit the typical mold, many seemed more than willing to live up to stereotypes. Again, I don’t believe JWs were (are) “brainwashed” in the strict sense. However, just as quite a few JWs can only imagine a person of “Christendom” being “brainwashed,” butnot a JW, so likewise such a JW can only imagine religious fanaticism and Pharisaism in others, but never JW fanaticism or JW Pharisaism. But perhaps the all-time kicker is this: While many JWs perceive that conscientious stands and conscientious objections abound for them outside the organization, no serious thought is given to possibly having conscientious objections to anything done inside the organization. 23 Comments on Brainwashed- Them or Us? Good points JJ! Well, maybe that’s why I’ve ended up discovering TTATT because I could never understand why we could give literature to those we met on the FS but not recieve any ourselves. I remember not so long back a lovely devout muslim couple invited us into their home where we had a great discussion exchanging views.. they sent us of with an English Qu’ran which I happily read quite a bit of when I got home (even if I didn’t understand much). 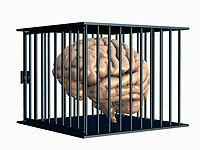 To me freedom of thought is very very important!! At least in our American culture , Catholics exercise tolerance of beliefs in other of Christendom’s doctrine and beliefs , including JWs , endeavoring much better than JWs do to observe the “oneness” among Christians . I found that the best common ground basis for discussion at the door as a witness was specific to faith in Christ . I would stay longer to talk and listen at Those homes than the typical rank & file witness , and probably make an RV out of it . Unfortunately it was rare to see others in a group consider a similar opportunity the same . It was clear that the organization was taking the place of God’s Son for it’s weak emphasis. Yes , brainwashing is dangerous ! “BRAINWASHING” : To think that JW-rejects are restricted from contacting witnesses . In truth , JWs are restricted in contacting ‘heretics’ , like you and I , as though locked up within the cult . I can tell this is going to be a lively thread JJ . Plenty to consider . . . Yes you are right Sister Jaq. things have hardened and become more and more “organizational” and policy oriented over the years. Ed Gruss in his book The Four Presidents of the WT Society talks about how even in the 1920s-30s Rutherford began replacing elders in local congregations with his key men from Bethel, so as to keep them inline. Interesting article. I work in the medical feild and have for many years, it is only my opinion but when you look at all the information on BRAINWASHING and the aspects of it, I do think the org brainwashes…….everyone here will have their own ideas, thoughts and personal experiences and THATS OKAY….when coming out of the org and stepping back and reviewing and reflecting on events, yes its very similar to those who have been “brainwashed”……not something you dismiss or get over in a week….takes a lot of intervention and help…. Hey,ya’ll,I have a late-nite comment.What I saw was the pounded-in warning not to THINK at all,instead of a lot of teachings,as compared to what I saw with the Russell/purest-Bible Student beliefs and dogma,which FAR outwiegh anthing Witnesses ever published.As this may stumble some readers here,like our sweet Willie,I don’t mean to disparage all who read Russell,but there is a huge effort going on by many to uncover all the book of Revelation,for instance,which of many parts,I for one sadly don’t have the foggiest idea of,yet.I have been interested in other things for the last 5 years that are more understandable.If we spend too much time on some of these writings afore mentioned,we would never even have time to read any of the Bible,as the basic teachings of Russell,for instance and his books deemed as a must-read compile over 2000 pages and more.When I read over 400 pages,and got into the speculative and parts I thought way-off base,and literally I started to wonder seriously if he was going senile.The pyramid “Caper” put the cork in the bottle for me.If you ever have any doubt about his prophetic prowess,go and take a look at that stuff.Now when you see and talk to Bible Students WHO ARDENTLY STAND BY THE MAN,and all his major work,you see a first-rate example of brainwashing.Some on the site here were calling this following of his time prophecies,”idolatry”.That would be closer to the truth yet,to me.The ENDLESS on and on blathering style he had,repeating lines over and over to the point where you as a reader start to believe them(catch-phrases,I call them),just because you’ve imprinted them in your mind from reading them so often.His all-time favorite? The “Divine Plan of the Ages”,”Age of Dispensation” and blah,blah ,blah,and the chart with the pyramid prominently displayed,even to the point where some among JW’s have been warped into his dimension(which I call the ‘Rabbit Hole”of Alice’s Wonderland),and they are brainwashed into believing the New Jerusalem temple coming down from heaven is fashioned after the shape of the Giza Pyramid.I tell you,the more you read,of this man,the more your head and brain become washed of any logical thinking.That is really brainwashing,in my opinion,Witness WT is just braindeath,in comparison.All the more reason to FOCUS on the deep teachings of Christ,the Kingdom and the workings of the apostles and other writers who clearly explain the important things.This,I agree is more important than the GUESSWORK being pumped out about Daniel and Revelation on dates.This may throw a damper on my discussion of Dan. chapter 2(upcoming forum,”The Kingdom of the Seed”).But my discussion is brief,straightforward and solid in comparison,and I feel is provable.This you can decide for self.It won’t take up but maybe one page or two at the most,either. Some may take a stand on “NO PROPHESY,PLEASE!”…..others,”EVERYTHING PROPHETIC MUST BE UNDERSTOOD COMPLETELY”…what if the truth lies somewhere in between?I think a balance can be found that satisfies the reasons for our faith and strengthens it,not confusing us and leading to doubt and burn-out. I tell you, the more study and research I do, the more I become aware of the beautiful truth of those words! I too think the Org. “brainwashes” or “mind controls” the bro/sis. 1. Claiming and asserting the most powerful position possible, that of Gods sole appointed “slave”. 2. Propaganda, misrepresentation, and logical fallicies. 3. A zero tolerance policy and extreme negative labeling and treatment of anyone who is truly desirous of deep study and exercise of freedom of conscience. Look up the work of Steven Hassan research on mind control. Well as an “awakened” witness I can say I was certainly “brainwashed” and it amazes me to sit through the meetings and see the process taking place on our friends and family. I know when I started studying with the witnesses I swore to myself I would not be “brainwashed” but it happened anyway. I even read a so called apostate book while studying and yet they still got me???? Scary!! If it offends anyone to use the brainwashing title, sorry, lets just say the JW’s slammed the door to my mind pretty hard. I think of it more as influenced to not be open minded about other religions and the reason being that these other religions do not have alot of the same basic beliefs we do so we don’t see it necesary to read their information if what they basically believe in is “wrong”. But i do think that in other ways we have been lead to believe it is wrong conciously to read certain types of literature or information that would make us question our faith wich I do not agree with even though I am an active witness I love to read information to “test my faith” and I believe that is what any real christian should do and find our own truth and decide what we should believe in and where we belong. Great article Brother JJ. If JWs aren’t brainwashed, than my name is Charles Taze Russell!! After 30 years of being a JW I feel I was completely brainwashed by everything. The meetings, the talks, the literature, the JW attitudes, the lingo, the appearance, etc. The main teachings of Christ are avoided,as “Not pertaining to the Great Crowd”,but only the anointed,when Jesus only taught the anointing as the means for Christians to be Christians. WT pulled a switch and derailed the real meaning of Christianity.This was in the long run extremely damaging to JW faith and knowledge,and those who read the word critically can begin to see gaping holes in the puzzle of their religion’s coherence to the Bible. Hello Jaqueline,good to hear your voice.Hope you’re well.I enjoy hearing about the Org. and how it was in the older days. I prefer to call it conditioning rather than brainwashing. As an example, if you condition your hair with certain ingredients for a long period of time, that is the way your hair will become. Or if you keep combing your hair in a certain way it becomes conditioned to the way that you comb it and it becomes set in a certain style. It is much the same with us when it comes to the conditioning that we receive through repetitive information and the society that we live in. To a large extent we are conditioned by the society that we live in in each country and in each religion, organization, club, or clique that we are part of. Another factor that plays a large part in our thinking is what we presume to be our past as established history, whether it be found in the Bible, our recorded local history, or what has being passed on down to us by word of mouth. All these as I mentioned above can be subject to serious errors, whether intentionally or by mistake. What I myself have come to discover is that our real history is somewhat different to what we have been told whether through secular history, or through religious texts. But the real truth itself of our past is recorded by certain artifacts and archeology, geology, the human genome and the vast reaches of outer space. It is time for all of us now to awaken from our delusion and our figurative sleep and start seeing what is really happening in our world today and what is also happening with our inner selves, our own consciousness of our being, and reality from our individual perspective. There is a much bigger picture that is now being played out on a large cosmic scale. Earth is only a small part of it, yet a very integral part of it as all eyes are watching our insignificant planet. As I have now come to understand, our planet and it’s inhabitants is part of a much larger collective community, except most of us here on this planet does not know it as yet. Now when it comes to God, the one who is the source of all life and matter etc, in the whole universe of universes that we live in, we have still much to learn about him as to his true character and personality and thinking on matters, though we do have some clue of this through certain texts in the Bible and the life and ministry of Jesus Christ. However it is my belief that some of the Biblical texts as related to the life and ministry of Jesus has being manipulated to certain ideologies of individuals in those early Christian times. So we really do need to scrutinize the scriptures to determine the truth and make sure whether it is just so. And to some extent we do need to listen to our inner self, what is it really telling us about God? We all have access to the spirit of God if we sincerely want access to it and sincerely seek righteousness and to do God’s will, and a thirst for spiritual knowledge, as well as the knowledge of our past, and where we are headed in the future. I,too,am being led by many developements,past and present,that there is proof other beings are observing mankind.I do believe Christ created them also. and things or gods,in ‘heavenly places’.I began several years ago to research the evidence for that,and am very satisfied with what I found.What this will mean for our future and prophesied events dealing with “signs in the sun and moon and stars”,…”and the stars will fall from heaven and the powers of the heavens will be shaken”(Matt.24& Luke 21 from Jesus’ words on the Great Tribulation)I don’t know,but am hoping to live long enough to see.Or maybe I should be careful what I wish for. I only have one point to make on those who are observing mankind, & they are the forces for good, the Father the Son & the holy angels, & the force for evil, Satan & his demon forces. If we consider that there “may be aliens” out there, we are going way beyond what is written. Please read the following scripture & see exactly what potential the demons “can” use as part of their arsenal. I would add that if in fact the devil and his demons get cast down to the vicinity of the earth during our lifetimes, we will probably see misleading things that the demons show us . For example , “ghosts” . Jesus (Yeshua) told us that even if an angel declares something other than what he has declared to us , that we should not believe it . We have fair warning that some (in heaven , or on earth) will try to mislead us . It’s not just BigFoot propeganda , and I don’t know about other living beings in heavenly places much . It’s a good subject to just wait and see concerning . Anyway John : from what you emphasize in this verse in Revelation , if what you observed are ” demonic spirits, PERFORMING SIGNS ” , don’t go after them . research.And I don’t mean ANYTHING paranormal demonic,don’t worry.Physical reports,studies,govt. documents,testimony from Pentagon Army officials,and so on.To me,it was an astounding experience,but I am convinced whether they be from a demon race,or other,they do not belong in our skies,and are not here for any purpose in harmony with Christ.I have a wait-and- see attitude,but I always look up at night.I fully believe the Holy Spirit has our prime directive clearly set brfore us,and I am not urging anyone off that.We are to be absorbed in matters of scripture.Still,as I said,someday I would like to know what is going on in our skies,maybe it is like Amos said,but I didn’t think demons could materialize physical reconnaisance planes and huge structures operating at speeds and with maneuvers we are seeing.Anyway,I’ll drop it. Just briefly, Would you rather deal with questions that you cannot answer or answers that You CANNOT question. I agree that the bible is a drop in the bucket or a grain of sand in terms of what there is to learn about our Creator or our universe-it only scratches the surface. And it is said that there are some who equate the watchtower as being the voice of God and equal to the bible itself-Ive actually heard some say if the watchtower says there is global warming that is manmade due to ruination of earth then it is fact-or if it says there is no alien life forms in universe its an undeniable fact. The UFO phenomena and Bermuda Triangle incidents and other seemingly unexplainable mysteries are things that right now are beyond our grasp to fully understand. Yet they are very real things that are happening. I think most people are “brainwashed” or involuntarily controlled mentally to one extreme or the other, but most “Witnesses” are controlled to a very large extent. I should know, I spent about 30 years in there! I believe that Jesus preached true Freedom! Especially from mental manipulation. Research done over 100 years ago indicated that it is much easier to “brainwash” individuals while they are part of a large crowd, than trying to do it individually. Many regimes, such as the NAZI’s, have put this practice to successful use over the years. This is the reason the NAZI’s utilized large gatherings so much and often to promote and maintain their “hold” on the minds and hearts of the German people. Ever wonder why the Watchtower organization has so many large assemblies? Why are they really needed, when it is just more of the same information that is disseminated at the 5 meetings per week?? What are their real purpose? These large gatherings became the norm when “Judge” Rutherford took over the Watchtower Society. 1. FYI…I have not read all the comments on this page…. in my late 20s early 30s …..I read and studied 99% of it…did pioneering etc…….it knew it inside and out…..as far as mind control they know exactly what they are doing…..and will have to answer for it…. Every organization religion, etc…have HUMANS doing their best, which leaves much to be desired on many levels…. folks of color the right to read, and women to vote. etc. in EVERY Religion as well. I am grateful for what I learned for it led me to at least take responsibility for what I do….and stop giving OTHER MEN authority over my life…..
3. Do your own research …please!! 4. One of my pet peeves…..It is not Jesus Christ….folks say it like it is his first and last name…..it is Jesus The Christ….wake up people…..
1. “The Firm” – Tom C. character was so totally me. 2. “The Matrix” — Keanu R. character is totally me.